Thinking about Bitcoin? Could be a good time to hop on, right? Wrong! Usually, by the time the average investor jumps on a gaudy, freewheeling bandwagon, it's too late. The price spike has already occurred. If the investment is a fad, a sickening plummet may well await you. Bitcoin blasted to a record high at rocket speed, hitting $19,783 on December 17, 2017, before plunging 25% in the next 10 days. The crypto-currency may yet be destined for greatness over the long-term, but its supersonic ascent and subsequent nosedive look much like other notorious investment fads. In 1637, Dutch investors lost their bloomers on tulip bulbs. During tulip-mania, prices for bulbs reportedly rose from November 1636 to February 1637 by 2000%, according to academic research published on Wikipedia. 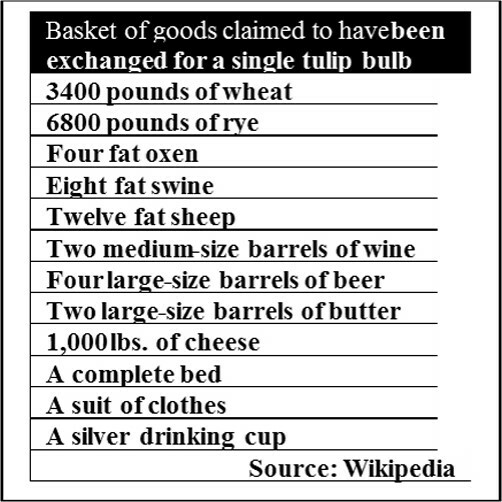 The accompanying table lists a basket of goods claimed to have been exchanged for a single tulip bulb in the mania. These objects of desire were flowers. It made no sense. The crash of the bulbs shattered lives and has ever since served as a beacon in financial history, warning investors of the risk in chasing performance. Investing in Bitcoin makes little sense considering that it is one of many crypto-currencies being mined on the Internet. The value of a crypto currency is set by supply and demand and supply is set by a software program that's not tied to a sovereign state. Transactions are easily hidden from tax authorities. Ultimately, crypto-currencies compete with sovereign nations, which is why some governments are starting to move to regulate them. In the time this was written, not only had the price of Bitcoin plunged 25%, but South Korea became the first nation to ban all anonymous crypto currencies and regulate the rest. Bitcoin's ascent was easy to spot as a mania, but the modern-day danger inherent in chasing hot performing investments is often far less apparent. For example, say you bought the No. 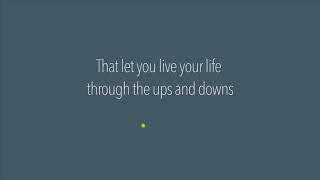 1 performing Exchange Traded Fund annually for 15 years through 2016. Sound like it could be a strategy for success? Think again, according to Dr. Craig Israeslen, Ph.D., who teaches portfolio design techniques to financial professionals. 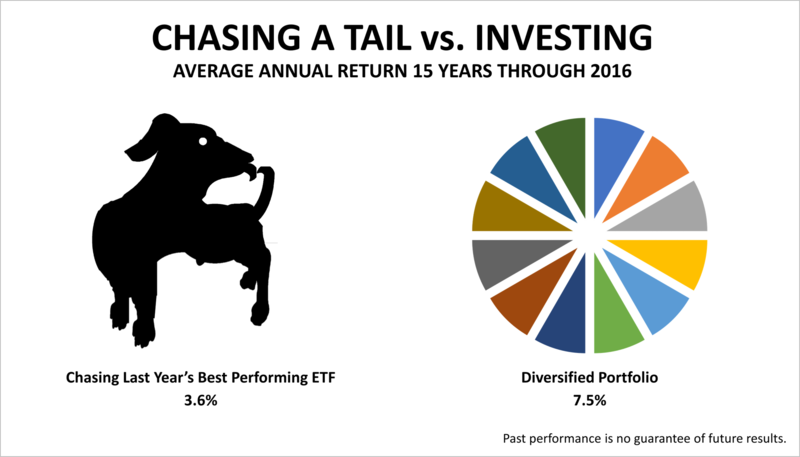 Your average annual return was 3.6% - less than half the annual return of a broadly diversified portfolio invested across 12 different types of assets equally and rebalanced systematically every year over the same 15-year period through 2016. Human nature makes people susceptible to investment manias, shiny bright objects like Bitcoin, and chasing last-year's winners. It's why people will always need investment professionals to stay focused on economic fundamentals, quantitative analysis, controlling fear and greed.